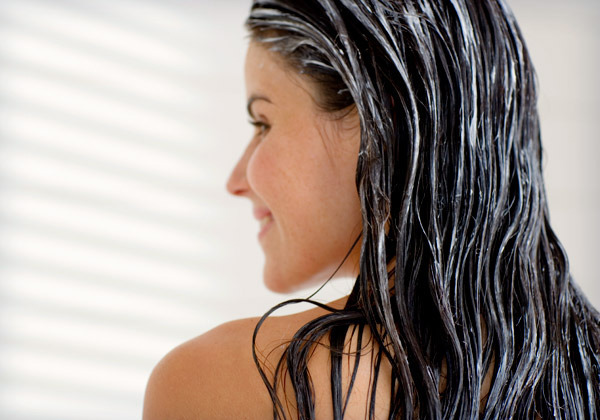 Rinse your hair with cold water, this will add shine! If you are like me, and you find yourself just washing your hair everyday, why don’t we add a lil something something to our hair? By giving your hair a quick rinse with cold water you can take your hair to the next level, without adding a bunch of heavy and greasy oils! This hack will also only take a extra 5 seconds out of your day! Give the one a try to spice up your natural locks! Wash your hair with lukewarm water! I’ll be the first to admit, after a long and hard day, I want to take a nice hot shower to relax all of my muscles. I know how relaxing it can be in a scalding hot shower but, the hot water strips your hair from the natural oil it produces. What happens when you strip those oils? Well, you are making your hair appear lifeless, the hot water will leave your hair feeling dry and looking duller. In your next shower, be kinder to your hair and adjust the temperature! Give your hair a break from the ponytails! On a chill and laid back day I know how easy it can be to yank your hair up in a quick ponytail, but the strain of pony tails is hurting you! When you wear your hair up in a ponytail all the time, you are putting your hair through unnecessary stress. When you are wearing super tight ponytails you can cause your hairline to change shape, and you can cause your hair to become more brittle, our hair can only handle so much stress! If you must wear a ponytail constantly try having a loose, low pony with a softer hair tie! But try and let your hair hang loose she will thank you for it! Don’t dry your hair with a towel! But what do I dry my hair with? You can either try twisting the excess water out in the shower, or you could use a old, but still clean, cotton t-shirt. Cotton t-shirt? Yes, a cotton t-shirt, because cotton is ultimately more gentle then a towel is. The towel can cause a unnecessary strain on your hair or excessively dry out your hair more than you want it too. After your next shower, try using the cotton t-shirt, and feel the difference in the texture of your hair! The right way to condition your hair! You may be thinking how could I be conditioning my hair wrong for all this time? We all have applied conditioner from the root of our hair all the way down, but this is wrong! When you apply conditioner to your hair you are actually weighing it down even more than you intended too. The next time you apply conditioner try applying it from the middle of your hair down, and you can use a wide-tooth comb to distribute the product evenly but also detangle at the same time! These simple tips can be life changing for you, and the quality of your hair! Once you take an extra minute to truly care for your hair you will see your hair come alive! Our hair needs care and a little extra attention, don’t deprive it of the love it needs! Previous PostUnderstanding Your Undertone And What It MeansNext Post5 Hacks For The Girls Who Love To Be A Little Lazy!